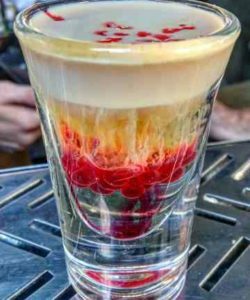 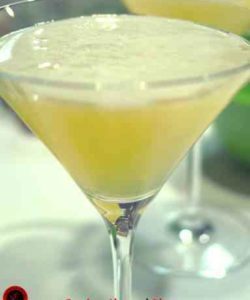 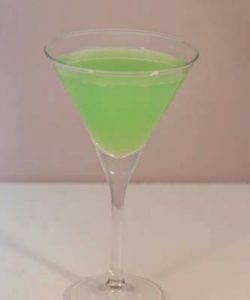 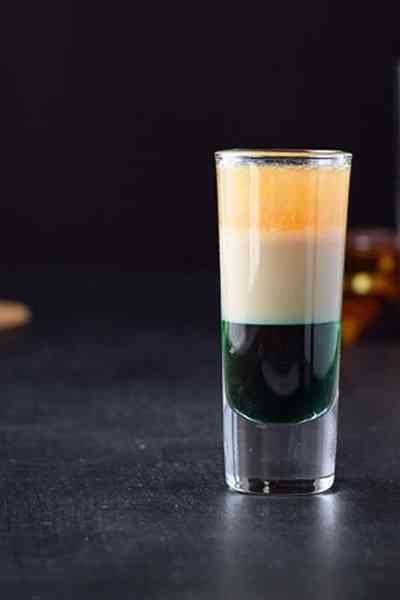 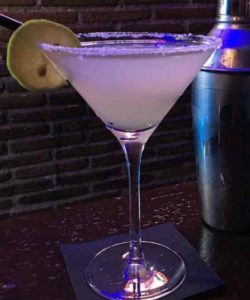  How to make the Irish Flag Cocktail shot recipe? 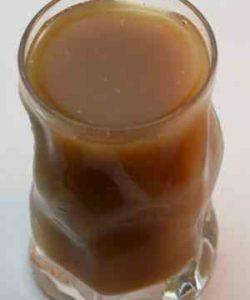 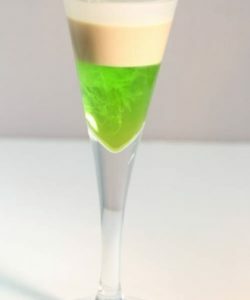 For the Irish Flag shooter., Pour the creme de menthe into a pousse cafe glass. 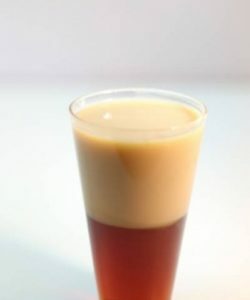 Then float the bailey’s on the creme de menthe and finally add the brandy on top of the bailey’s.